Attendance charts (20" x 28") are a wonderful classroom resource for many different church groups and organizations. These colorful and fun charts will brighten up any classroom. 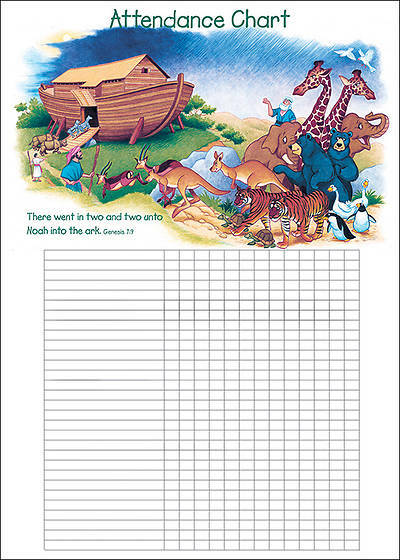 Each chart has space to list 30 names and record attendance for 13 weeks. It features Genesis 7:9 (KJV) Scripture.